We had a wonderful time on our trip in xian. The itinerary worked out perfectly and we did everything we wanted to do. The food was delicious and the tang dynasty show was great. We especially enjoyed cycling on the city walls. The driver was careful and cheerful and Mrs Gong was amazing! Her knowledge is incredible, we learned so much from her. Also her calm nature is just what we want from a guide. She was organised and experienced and happy to be flexible to suit our needs. The train was superb and getting on was stress free. Once again, we thank you for providing excellent care throughout our trip from the moment we first email, to this follow up request. 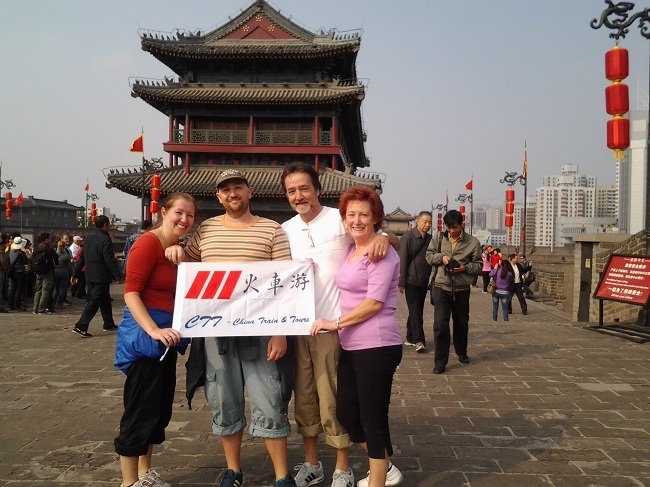 As always, we will use CTT for any future trip to China and recommend you to all our family, friends and on trip advisor. Thanks again to you and Simmy, we really appreciate it. I will be in touch soon as we wish to take a Tibet tour next summer. Want Book A Tour Like Ms.Melanie?